Stems densely covered with spreading hairs, rusty to white. 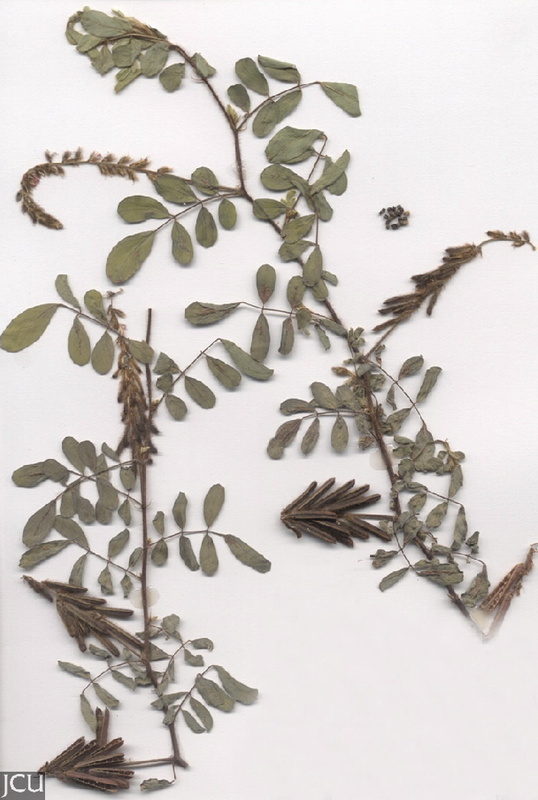 Leaves with 5-11 leaflets, pairs opposite one another. Calyx densely covered by coarse hairs, rufous-coloured. Flowers with pink standard. Pod 1-2 cm long, straight, densely covered in spreading hairs.